Explore a the wizarding world before Harry Potter came along! This 1000 piece jigsaw puzzle features the major characters from Fantastic Beasts and Where to Find Them. 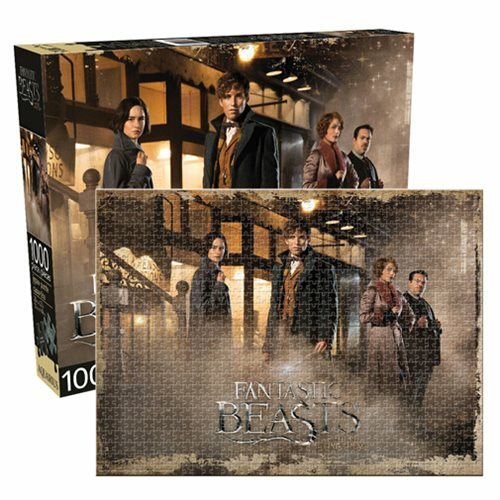 The Fantastic Beasts and Where to Find Them 1000-Piece Puzzle measures 27-inches tall x 20-inches wide when completed! Ages 14 and up.